Ashok tells Dharma that i am not prince but Samrat Vanraj and you are my queen, i dont know what Bindu and Subhrasi taked but what decision you took for me was best in that situation, today whatever i am is because of your upbringing, he hugs her and leaves, Ashok thinks that i have to tell Chanakya about my mother’s tension, he finds some guy misbehaving with Ahenkara, Sushim comes and beats him, Sushim says cheap, how dare you do this? guy says you are beating your friend for betrayer’s daughter, sushim says you are alive as you are my friend, before i forget that you are my friend, leave from here, Guy leaves, Sushim says sorry to Ahenkara on his friend’s behalf, Ahenkara is about to leave but he stops her and says i am sorry for my behavior too, Ashok starts leaving but Sushim says you can stay here, Sushim says to Ahenkara that i knew you are not involved in conspiracy but i misbehaved with you, i cant control my anger, i have seen my father in danger, i got afraid in that fire palace and took anger on you, i didnt know what to do so i spit my anger on you, then i got to know that this conspiracy is done by person whom Bindu loved then i realized that your love was pure, i realized that i cant live without you, your love is everything for me, if you loved me for a moment then forgive me, Ahenkara says i should leaves, she leaves, sushim comes to Ashok and says i need your assistance, i am not talking about Ahenkara and me, you told me that when you will know about Dharma and her son, i want your promise that when you will know about them, you will first tell me, Ashok ask why? Sushim says because i wanna protect my father, i know enemies are behind Bindu, i feel someone is still conspiring, we should be careful, if enemies know anything before us then it will be dangerous if you need my help then ask me Ashok says if i know anything about them then i will tell you, Sushim says now on one can stop me from becoming heir. noor’s dasi comes to Bindu and says that Noor wanna talk to you, Bindu leaves, Khurasan comes in his room and ask soldiers to go behind Bindu, Bindua is in danger, be with him, soldier leaves, Khurasan starts searching Bindu’s room. Bindu is going to Noor’s room, soldiers come behind him, he ask what happened? they say that Khurasan asked us to be with you, enemies are near you, Bindu says then he would have told me first, he starts going back his room, Dasi says what about Noor? he says i will talk to her later, he goes towards his room, Khurasan is finding analyst’s family record in his room, Dasi comes to Noor and tells her that Bindu went back to his room. Bindu is going back to his room, Khurasan finds record and senses someone coming in, Bindu is about to go in room but Helena comes there and stops, she ask everything fine? Khurasan comes there and says everything is fine, my agents told me that you are in danger but now everything is fine, Bindu says you should have informed me, Khurasan says i came to your room but got to know that you are in Noor’s room so i didnt come there, Helena blesses Bindu and leaves. Ashok says to Redha that we will not get caught, he says Dharma wanted to tell truth to me but i stopped her as this is not right time as if she talk about it then she will know that i know about it and i am doing secret work against Khurasan, this can put her in danger so i wanna remain this secret from her, i wanna talk to Chanakya, Radha says no, Chanakya dont want anyone to doubt you both, he gives him Chanakya’s message and ask him to find way. a literate person is called, Helena ask him to take oath on fire that you will read truth only, will not lie, he takes oath, he reads record that Bindu married a Brahmin and her name was Dharma, they had a son together but son’s name is not known to anyone, all are disappointed. Ashok reads Chanakya’s letter that Enemy’s mission is his weakness, make it your strength and win the game, Ashok says enemy is Khurasan and his mission is to reach my mother so Chanakya wanna say that i should involve my mother in all this but it will put her in danger, if Chanakya have said this then there must be reason behind it, Siamak comes there and ask where were you in Janmashtmi? Ashok says i went to meet my old friends, Siamak says you could have brought them here, i would have met them, Ashok says how can i bring them here, they are common, Siamak says kyou are my friend so you are part of family, your friends are my friends, my father says that we should accept friends with their strength and weakness, we should accept their relations too, you are part of our family so dont think like that next time, Ashok hugs him and thinks that i hope your love remain same for me after you get to know that i am going to punish your grandfather Khurasan. 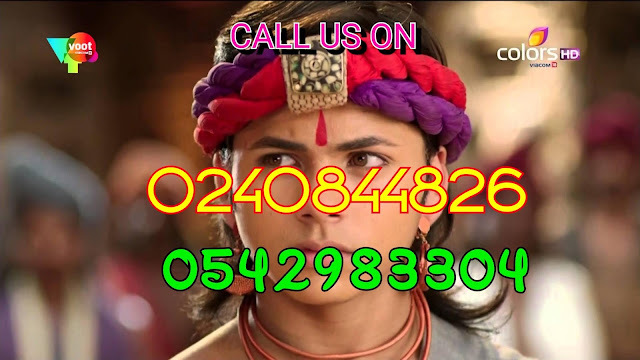 flashback shows that Radha has the real record, he says to Aakramak when Chanakya will comeback then i will give this record to Bindu, aakramak nods and leaves, he changes real records with fake one and says even if Helena gets it then she will know nothing. fb ends. A literate person reads letter that Dharma was Bindu’s wife, Khurasan says i will kill this person, person says that i will not tell anything to anyone, dont kill me, Khurasan says i dont leave marks behind, he is about to kill him but Helena stops him and ask person to leave, Khurasan says he can be dangerous for us, Helena ask him to leave, person thanks her and starts leaving but he falls down and dies as helena had given her poison, she sys there is different ways of removing proofs, Helena says Chanakya is making plans but not leaving any mark, Noor says Ashok is not telling anything, Niharika sys your father has done deal with him, he should ask him, Khurasan says i cant force Ashok as then he will doubt me, Helena says i know one person with whom Ashok can share anything without any hesitation, she says Ahenkara, we should use Ahenkara and ask her to tell Ashok about Dharma, he will tell her everything. Ahenkara comes near river and recalls Sushim’s words that if you loved me for moment then forgive me, she says i cant trust me, the behavior he had with me, how can i forget that, she has saved me from Inderjeet but now i feel indebted to him but Ashok has saved me so many times but i dont feel indebted, this is humanity, he helps me everytime, she says father you are seeing me, tell me what to do, how to choose my path, Niharika comes there and says when you want peace then help others, show them way to solve their problems, your father used to say that, Ahenkara says i also want to serve Ujjain, Niharika says i am not talking about Ujjain but the person who has always been with you that is Ashok, i have listened that Ashok is finding Dharma but i feel that if he tries to go close to them then they can hurt him as Dharma and her son are betrayers, Ahenkara says Ashok told me that Dharma is not criminal, Niharika says i have met that women, she is very clever, Ashok is falling in her trap, Dharma says is Bindu’s wife and she wants revenge from him thats why she is using Ashok’s innocence, once she get what she want then she can kill Ashok too, Ahenkara says you dont like Ashok then why you are thinking about him? Niharika says yes i dont like him but i cant forget that you are alive only because of Ashok, i am not that cold, Ahenkara hugs her and says i will help Ashok. Ahenkara meets Ashok, Ashok ask you wanna say anything? she says you remember i promised you that when i will get chance then i will help you, i have got this chance but first promise me that you will not get angry listening it, Khurasan and Niharika are seeing them from far. Ashok promises, Ahenkara says to AShok that i know you are trying to meet Dharma and her son, you think they are innocent but they are very clever and cheap minded people, they want to take revenge from Bindu, if you know anything about Dharma or her son then tell me, my mother will protect you, she told me that Dharma is not good women, Ashok thinks that your mother is using you, i will have to answer her, henkara says to Ashok that i wanna know about Dharma and her son, what you know about them, Ashok senses Khurasan hiding there and understands their trap, he tells Ahenkara that i went to meet Dharma and her son but they felt someone is with me so they beat me and left, they wanted to talk to Bindu, Ahenkara ask when they wanted to talk to Bindu? Ashok says on Bindu’s birthday. Helena says to Khurasan that Bindu’s birthday is tomorrow, Noor says Dharma will come to meet bindu tomorrow, Khurasan says if Dharma reaches Bindu then everything will be finished, Helena says no this will not happen, before they reach Bindu, we have to find them. All are called in court, Helena says i have called everyone, i wanted to surprise Bindu but then thought his permission is needed, tomorrow is Bindu’s birthday, i feel that i will not be present in his next birthday as i am aged now so i want to celebrate his birthday this year grandly, Bindu says i understand your emotions but i dont fell like celebrating my birthday, Helena says its not like that i dont miss Justin, mother’s love can never end but bigger truth was that he was betrayer so i had to kill my motherly love and chose justice over it, the person who didnt think about my emotions, i cant give him permission to play with my emotions, the happiness which came in Janmashtmi, i want to continue that, Helena says to Bindu that i love you alot so i want all to celebrate your birthday, Noor says Helena is right, i also want that, Bindu ask Khurasan that you got news that my life is in danger, Khurasan says dont worry, on your birthday security will be tight, Helena says the people who will have invitation, only they will enter palace, guests will be less too this time, Bindu says even i have one announcement to do on birthday, that will shock everyone and will also make them happy, all look on tensed. PRECAP- Dharma says that tomorrow is Bindu’s birthday, he is my husband and my son’s father, i will gift him tomorrow on his birthday, she makes something for him. Ashok drops letter, Khurasan reads it, it says that Dharma will meet Bindu in birthday celebrations. Ashok thinks that i will fool Khurasan in such a way that he will see Dharma in celebrations but wont be able to catch her says to Ahenkara that you always wished me competitions, will you not wish me today? 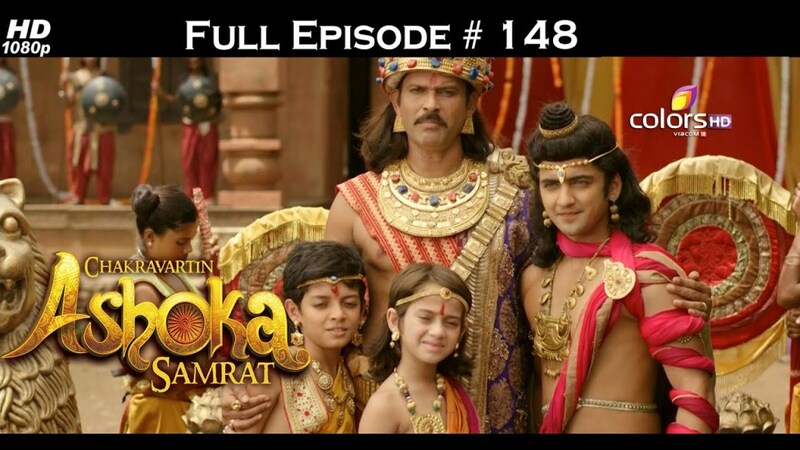 Ahenkara says it doesnt matter as the person who can give you tough time is not here, your win is not complete without winning over Ashok, sushim goes and ask his friend where is AShok?